You’ve just touched down in London and now you need to get to your accommodation. In a city as vast as the UK’s capital, this is a journey that could take an hour or more, depending on which airport you’re in and where in the city you need to go. If you just want to get to your destination quickly and you don’t feel like negotiating public transport timetables or maps, why not arrange a convenient and personalised airport transfer to anywhere in London? With LA Stretch Limos, airport car pickups are very easy to arrange, relieving you of the stress of overcrowded public transport systems which may only be able to take you some of the way. Forget about racing to get to your station on time and trying to join the dots between one transport link and the next; with airport transfers, you’re off the plane and straight into a luxurious vehicle (maybe even a limousine!) that will take you directly to your intended destination in true comfort. If you’re planning to visit London soon and you’d like the convenience of an airport transfer, our guide below outlines each of the city’s five airports and includes some useful tips on booking airport pickups in London. Heathrow is London’s biggest airport and is one of the busiest in the world, serving 68 million passengers a year and carried by 90 airlines. With more than 1,300 flights daily, a plane takes off from Heathrow every 45 seconds. It is located in the west of the city, roughly 25 kilometres from the centre of London, and a transfer can expect to take 45 minutes to reach the city centre. If you are getting a long-haul flight to London, you will most likely be flying to this airport. Although Heathrow’s operations are generally very efficient, the sheer volume of passenger numbers can sometimes result in lengthy queues. This video talks you through where you need to go upon landing at Heathrow Airport before getting to the arrivals hall for your airport transfer pickup. 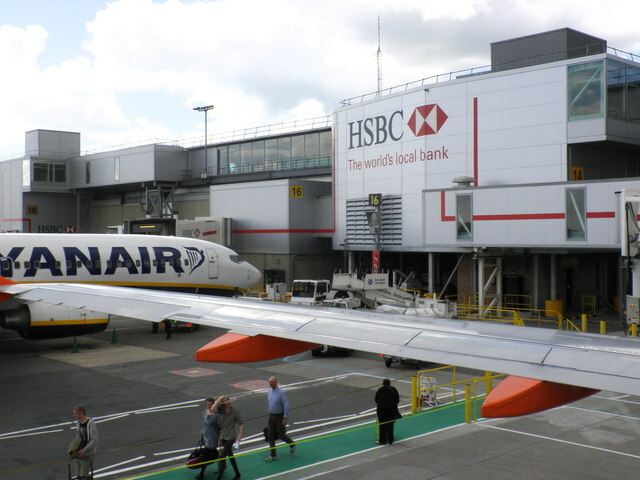 Gatwick is the second largest airport in the UK and serves a broad spectrum of airlines from low-cost operators to long-haul and charter carriers. The airport connects with more than 200 destinations globally and has just two terminals, making it relatively easy to negotiate. Another significant plus point of Gatwick is the quickness with which passengers get through security and immigration checkpoints. The airport is based to the south-east of London about 45 kilometres from the city centre, so if you are travelling to a central location, expect a transfer from Gatwick to take at least an hour. If you’re flying to London with a budget carrier such as Ryanair or easyJet, there’s a good chance that you’ll be landing in Stansted, London’s third biggest airport and one which specialises in short- and medium-haul flights to and from Europe. Although it is located further from the city centre (approx. 65 kilometres) than London’s other airports, booking a transfer is a very attractive option for passengers arriving in Stansted, as its parking is notoriously expensive and its public transport links can get very congested. While not located within the generally recognised confines of London, Luton Airport is still regarded as one of the main gateways to the UK’s capital city. It is situated roughly 50 kilometres from the centre of London, although the journey will be much shorter for anyone travelling to the northern regions of the city. It is not especially well served by public transport, which makes airport transfers a quite enticing option for people flying there, particularly if they have small children or a lot of luggage. Like Stansted, it is served by multiple low-cost carriers. 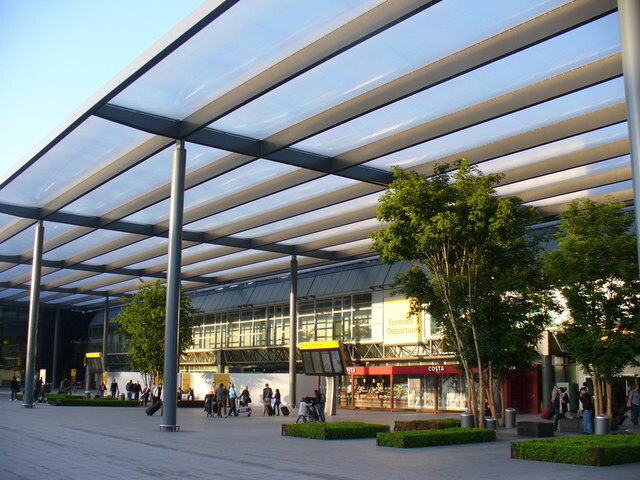 While London’s other airports are located on the outskirts of the city, or narrowly outside its confines, this airport is very central and is renowned for serving business travellers who usually need to reach a city centre location quickly. Indeed, the ExCeL convention centre is only a mile away, with Canary Wharf within five kilometres. As it is London’s smallest airport, getting through security, departures and arrivals is very quick. Also, with many of its passengers needing a quick getaway to a specific location, there is always a demand for private transfers. • As London has some of the busiest airports in the world, public transport and taxi queues can naturally be quite long, especially if you’re arriving at peak times. A pre-booked airport transfer allows you to go straight from the terminal to the car that’s waiting for you, and only you. • If travelling with a larger group, it can be tricky keeping everyone together if public transport is required, and virtually impossible if relying on multiple taxis. With private transfers, you can arrange for transportation to take everyone simultaneously so that you all arrive together, even if travelling in more than one vehicle. • If travelling with small children or someone with mobility problems, a private airport transfer enables them to travel in comfort, a luxury they would not enjoy on hectic public transport. Likewise, if you’re carrying extremely heavy or cumbersome luggage, the journey becomes a lot easier when travelling with a private chauffeur compared to relying on public alternatives. • While London’s public transport links are abundant, availing of a private airport transfer will nonetheless spare you the need to decipher Tube maps and bus timetables. Also, if public transport drivers go on strike (not uncommon in London), you wouldn’t be left high and dry by sudden industrial action. • As your journey is prepaid, you don’t need to fret about having the correct change or not having enough cash on you for the journey. Also, this ensures that the cost of your journey is reasonable; an opportunistic public taxi driver could take advantage of visitors’ unfamiliarity with the city by charging them over the odds. • Get a full quotation: Before booking your airport transfer, get a quote for a fixed price and ascertain all the aspects that are included in the price (e.g. waiting times, nocturnal travel). At LA Stretch Limos, the price we quote you is all-inclusive, so there won’t be any nasty hidden charges afterwards. • Give as much info as possible: The more details you provide, the smoother your transfer will be for everyone involved. It helps to provide the time and date of collection, the number of passengers travelling, the location of pick-up and drop-off points, your phone number, the flight details and, for Heathrow and Gatwick, the terminal into which you’re flying. • Double-check your dates: It can easily happen if flying transatlantic that you get mixed up with your days of travel, as a Thursday evening take-off in the USA would mean a Friday morning landing in London because of the time zone difference and the duration of the flight. Check your time and date of arrival very carefully and be certain of it before notifying your driver so that there is no misunderstanding between you and them. • Go for the meet and greet: By arranging to meet your driver in the airport terminal, you don’t need to rush anywhere, so you have the time to get a beverage or go to the toilet if needed, and we could also assist with your luggage. It’s certainly a lot more relaxing than trying to meet up with the driver in what could be a busy drop-off area, where everything feels a lot more rushed. • Keep your phone on: Give your number to the driver so that he/she can keep you notified of any unexpected delays which could occur. Also, openness of communication makes it easier for the driver to meet you when at the airport, making things less stressful for you and easy for them. • Let us help: Airport transfers are meant to be luxurious and comfortable, so feel free to let us do all the work when it comes to carrying and minding your luggage. If there is anything with which we could help, please just ask and we’d be delighted to assist!